Since air travel can be a nightmare, you have to be able to look for the glimmers of goodness in your journey through the terminals. Maybe it's making it through security in record time, scoring a free drink from a generous flight attendant, or just having enough time before your flight to grab a thoroughly enjoyable meal. Above all else though, the quality of the airport you travel through can make all the difference in the world. Fortunately, it just got easier to find them, thanks to a new ranking of the best and worst airports in America. This latest quality comparison of air hubs around the country comes from the folks at The Points Guy, who ranked 30 different airports from best to worst using a strategic methodology that factored in everything from on-time statistics to how crowded restaurants get. They also looked at things like the cost of an Uber to get there, timeliness of departures and arrivals, and the number of lounges available. 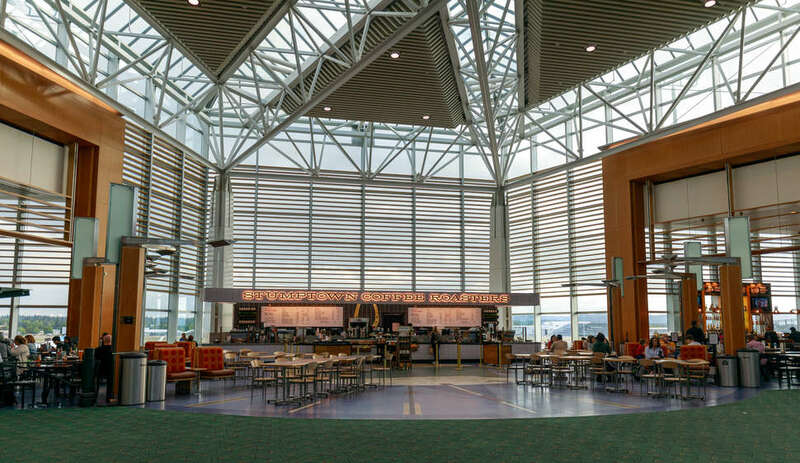 Topping the list this year is Phoenix Sky Harbor International, which has been number one for three years running, followed by Salt Lake City International, and Portland International. On the other end of things, all three of the worst airports in the country are in the New York metro area, with JFK coming in absolute last place (followed shorty behind by LaGuardia and Newark, respectively). Here's how the full rankings turned out, from worst to best. The TPG team also took a closer look at the sorts of things that helped push certain hubs up or down the list. For example, the top scorers all had the move consistently above-average on-top departures and arrivals (as well as lower rates of canceled flights and shorter security lines). Another big thing that can help is having enough bars and restaurants to ensure there aren't huge crowds at peak travel times. That, specifically, is what helped Dulles airport land in the top 10 this year, according to the experts. Of course, no matter where you book your flight into or out of, there are plenty of ways plan ahead to make sure you're jet-setting like a pro.